"The best thing I can do as an American diplomat is be perfectly honest with you," Hill told the men. "We cannot solve all your problems." The United States' focus in Iraq is shifting away from the battlefield and toward diplomatic and political efforts to help Iraq stand on its own. Now that U.S. combat troops have left Iraqi cities and are preparing to depart the country entirely by 2012, civilians such as Hill are increasingly on the front lines of the war, working to bolster the economy and help ease the lingering political tensions that still make Iraq a very volatile place. The challenges were clear on Hill's two-day trip last week to meet local leaders in southern Iraq, during which he was accompanied by a USA TODAY reporter. Some of the habits developed during six years of war are proving hard to break - following the meeting in Nasiriyah, Hill quipped that some Iraqis "are confusing me with Santa Claus." Requests for hospitals and other large infrastructure projects were more easily met in the aftermath of the U.S. invasion in 2003, when one of Hill's predecessors, Paul Bremer, had about $20 billion at his disposal. By contrast, the State Department has asked Congress for $500 million for Iraq-related programs for 2010. 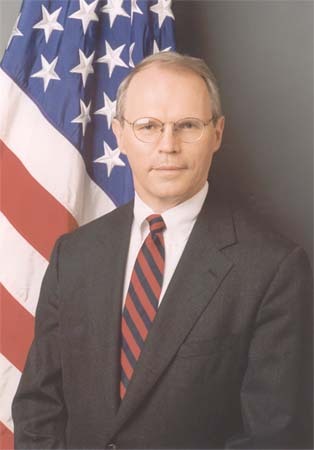 Cameroon RPCV Christopher R. Hill is presently US Ambassador to Iraq and formerly served as assistant secretary of state for East Asian and Pacific Affairs and U.S. ambassador to South Korea. NASIRIYAH, Iraq - The United States' new ambassador to Iraq, Christopher Hill, had barely sat down for a meeting with local politicians here. Yet the requests were already pouring in. One of the Iraqis present asked Hill to intervene in a water rights dispute with neighboring Turkey. Another politician, Abdulhadi al-Saadawi, was eager for the Americans to build a hospital for his city. 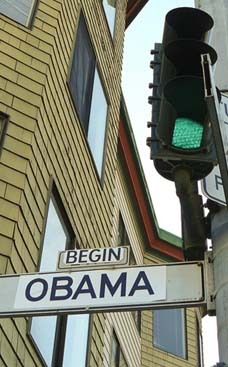 "We could name it after President Obama," he offered. A year or two ago, visiting Americans often said yes to such requests. But times are different now - budgets are smaller, troops are leaving, and a new U.S. administration is in charge. So Hill opted for a different approach: tough love. "The best thing I can do as an American diplomat is be perfectly honest with you," Hill told the men. "We cannot solve all your problems." The United States' focus in Iraq is shifting away from the battlefield and toward diplomatic and political efforts to help Iraq stand on its own. Now that U.S. combat troops have left Iraqi cities and are preparing to depart the country entirely by 2012, civilians such as Hill are increasingly on the front lines of the war, working to bolster the economy and help ease the lingering political tensions that still make Iraq a very volatile place. The challenges were clear on Hill's two-day trip last week to meet local leaders in southern Iraq, during which he was accompanied by a USA TODAY reporter. Some of the habits developed during six years of war are proving hard to break - following the meeting in Nasiriyah, Hill quipped that some Iraqis "are confusing me with Santa Claus." Requests for hospitals and other large infrastructure projects were more easily met in the aftermath of the U.S. invasion in 2003, when one of Hill's predecessors, Paul Bremer, had about $20 billion at his disposal. By contrast, the State Department has asked Congress for $500 million for Iraq-related programs for 2010. Violence continues to be at manageable levels, although targeted attacks do still regularly occur, as Hill discovered firsthand when a small roadside bomb hit his convoy while traveling through Nasiriyah. No one was injured in the attack, but it illustrated just how fragile security remains here, even in areas considered relatively safe. Attacks around the country on Tuesday left 18 Iraqis dead, the Associated Press reported. After two months as ambassador, though, Hill says his biggest source of concern is Iraq's politicians. Specifically, he worries about their continued inability to reach compromises on key issues, such as how to share oil revenue equitably among competing religious and ethnic groups, that he says are crucial to forging a lasting peace here. "I worry less about the security situation," Hill, 56, told USA TODAY. "What I worry about is the political culture and whether they can establish rules of the game." How Iraq continues its transition to a fully independent democracy, and what exact role the United States will play over the long term, will be on the agenda as Iraqi Prime Minister Nouri al-Maliki meets President Obama today in Washington. The talks are expected to focus on economic, cultural and education issues, White House spokesman Robert Gibbs said. The meeting comes as al-Maliki is publicly lobbying - sometimes with a bluntness that Hill says bothers him - for the U.S. to interfere less in Iraqi affairs. The Obama administration is also shifting attention and resources to the war in Afghanistan. Yet, time and again during his trip to Nasiriyah, Hill heard from Iraqis and Western civilians working to make things better here that the time has not yet come for the United States to leave Iraq to its own fate. "These days we need very little help on security issues," said Hatem Hussein Alway, the mayor of the southern city of Rumaytah, following a meeting with Hill. "But we are going to need the help of the (Americans) for some time to help us get started" on other issues, he said. Hill is no stranger to countries with warring religious groups - a career diplomat, he is perhaps best known for helping negotiate a peace settlement in 1995 in the Balkan nation of Bosnia. More recently, he was tasked with another diplomatic high-wire act: trying to persuade North Korea's hermetic regime to give up its nuclear program. Obama nominated Hill as the U.S. ambassador to Iraq in March. The move stirred some criticism in Congress, as lawmakers, including Sen. John McCain, R-Ariz., questioned the wisdom of sending an envoy with no previous experience in the Middle East. 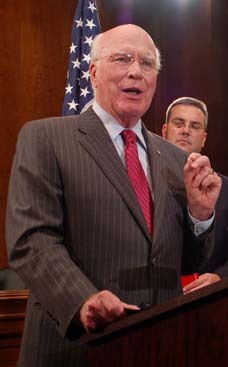 During his Senate confirmation hearings, Hill replied: "In many respects, Iraq is unique, but the problems that Iraq faces are not unique." Indeed, one of the most pressing concerns Iraqis have raised with Hill lately is a global one - the recession. The resulting decline in the price of oil, which accounts for roughly 90% of the Iraqi government's revenue, has forced Prime Minister al-Maliki to slash the federal budget twice already this year. As a result, planned improvements to unreliable water, electricity and other basic services nationwide have been postponed. "We have had to cancel 74 projects because of the budget problems in Baghdad, and we had to stop work on another 113 projects we had already started," said al-Saadawi, the politician who had previously asked Hill for the hospital. "We need foreign investment." Foreign investment has been slow to come to Iraq, though, with only about $500 million of it last year. International companies have been reluctant to invest in Iraq because of security concerns and the absence of a strong legal framework, particularly in the oil sector. That leaves the U.S. government as virtually the only other source of cash - but here, too, the numbers are becoming more modest. The main vehicle for U.S. funded projects is the so-called Provincial Reconstruction Teams, or PRTs, that are composed of State Department staff and civilian contractors. About 550 people are assigned to such teams nationwide, and their presence will be gradually reduced during the next two years as Hill plans to cut the number of PRTs from 16 to six. Hill says the cutbacks are part of the broad reduction in the U.S. presence here, and he hopes some of the work the PRTs do will be taken up by international non-profit groups. These days, the teams are focused less on grandiose reconstruction projects than on training and jobs programs, said Anna Prouse, an Italian foreign service officer who leads a PRT in the province of Dhi Qar. "I'm no longer doing buildings," she said. As his financial resources shrink, Hill's other main source of power is his ability to pressure and prod Iraq's political leaders, with whom he meets regularly. Still, the days when Iraqi politicians would call the U.S. Embassy in Baghdad before making any major decisions have long since passed. In the weeks leading up to last month's deadline for U.S. troops to leave Iraqi cities, Prime Minister al-Maliki repeatedly referred to the U.S. military as occupiers and compared the withdrawal to Iraq's 1920 revolt against British colonial rule. In a speech on June 30, which al-Maliki called "National Sovereignty Day," he failed to mention the U.S. military's role in bringing a semblance of normalcy to Iraq in recent years, or the more than 4,300 troops who have died here. As national elections approach in January, Hill said that al-Maliki's desire to show his independence is understandable. But the ambassador acknowledged that some of the rhetoric - particularly the lack of appreciation for U.S. troops - has gotten under his skin. "Anyone who has spent any time with U.S. troops and had the opportunity to observe the extraordinary dedication to duty that they have and then listens to stuff like that ..." Hill said, his voice trailing away. "It's very tough to hear." Hill says he has been further frustrated by Iraqi politicians' failure to resolve issues that have lingered for years. He cited the disputed status of areas near the northern cities of Kirkuk, Mosul and Tal Afar - where dozens have been killed in bombings recently as Arabs and Kurds battle for control. The governing authority in Kurdistan, the semiautonomous region of northern Iraq that is run by Kurds, recently introduced a new draft constitution that explicitly asserts its claim to some of those areas. The potentially inflammatory move came as a surprise to Hill, he said, especially since the United Nations had just started mediating negotiations over the region's future last month. "The Kurds often talk about the need for consensual decision making," Hill said. "In a country that has a lot of problems going on, we don't need more concerns raised. We've got plenty already on our plate." Hill says that, in the long run, his biggest challenge might be a more elusive one - getting Iraqis to believe in their country. During his trip to Nasiriyah, Hill met with several U.S. soldiers including Sgt. 1st Class Joseph Smith, a reservist from Livermore, Calif., whose unit was helping a PRT here. Smith told Hill that most Iraqis he met were resigned to their situation. In an interview, Smith, 33, recalled an exchange he recently had with an Iraqi mechanic. The man told Smith that his best hope for his children was that their lives would be as good as his. "The hope that his children's life would be better - what any parent would say - did not seem possible to him," Smith said. Some Iraqis are thinking of the future - two mayors who met with Hill said they would like to work with the United States on long-term plans for their cities' development. Yet Hill expressed concern that Iraq is still struggling to move past the wounds from decades under Saddam Hussein's rule. During a meeting with a group of students from Dhi Qar University, Hill mentioned that he had recently met one of the Iraqi winners of the prestigious Fulbright scholarship and his grandmother, a woman who won the award herself in 1952. Iraqis were not allowed to compete for the scholarship during much of Saddam Hussein's reign. Hill said that the family's story reminded him that several generations of Iraqis had been effectively cut off from the rest of the world, and reintegrating Iraq into the international community would remain a central part of the U.S. mission. "It's important to understand that, through the decades, the great enemy for Iraq has been isolation," Hill said. "Iraq needs to be comfortable in its neighborhood, and it needs to be comfortable in the rest of the world."